Something to keep in mind when exploring Celtic Gods and Goddesses family trees is the people who called themselves or where given the name Celtic in later years come from a wide variety of places stretching from Turkey to Germany and onto the what is now known as the British Isles (Wales, Ireland, England, and Scotland). Each of these tribes had a few of the same deities but known y different names and some of the Celtic deities were now only in a specific region. So I will present to you here a few of the better know pantheons and give you the links to where I found the pictures of the family trees so you can explore further on your own. his is a brief overview of the Celts and their spiritual beliefs. Most people think of Ireland when they hear the word “Celtic”. However, the Celts were groups of tribal people who inhabited not only Ireland, Wales, Scotland and England but also Europe and Asia Minor. They had complex and varied groups of societies and religious customs which varied widely from group to group. A witch dressed in all black sits in front of her altar, lit candles, bones, and a cauldron adorn it. She takes an athame and cuts open her hand to provide blood for her magic. Speaking an ancient language, she casts curses and hexes upon her enemies. – Now be honest, this is what you probably think of when you hear the word “witch”, most people and even Pagans are guilty of thinking this. Sorry, my weeks start on Thursday when it comes to posting. This week I will be posting information about some of the Celtic Goddesses and Gods. Something to keep in mind when exploring Celtic Gods and Goddesses is the people who called themselves or where given the name Celtic in later years come from a wide variety of places stretching from Turkey to Germany and onto the what is now known as the British Isles (Wales, Ireland, England, and Scotland). Each of these tribes had a few of the same deities but sometimes known by different names and some of the Celtic deities were known only in a specific region. Previous posts on APOLLO’S RAVEN have provided an overview of Ancient Celtic religion and the pantheon of gods and goddesses. 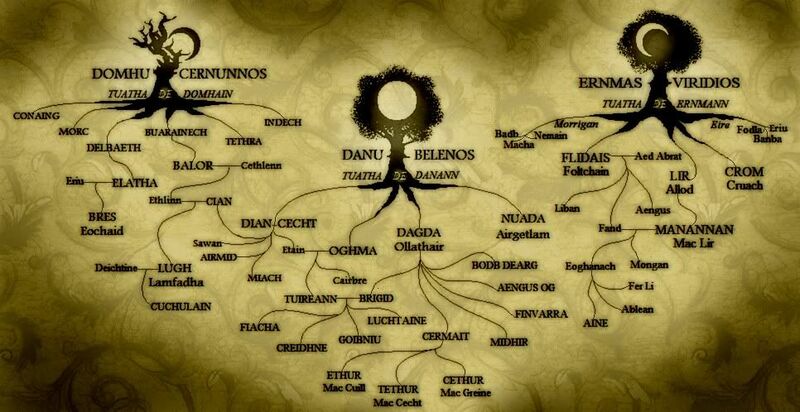 Although there are approximately 400 names of Celtic gods and goddesses which have been found throughout the vast area once inhabited by the Celts in Europe, from Ireland to Turkey, 305 of these names were inscribed only once. These were probably names of local deities. Only twenty names occurred with greater frequency and many of the Celtic gods and goddesses can be associated with Roman’s. The Celtic polyvalent deity did not have exclusive functions, but they were adept in all things. They also appeared in many polymorphic guises that included zoomorphic forms which combined human and animal attributes. Below in an overview of Celtic gods and goddesses who were more widely accepted by the ancient Celts across all regions. Everything that is creative is spiritual. It can be argued that the reverse applies—everything that is spiritual is creative. Which isn’t to say that spiritual means religious, because that’s not it at all. Rather, creativity taps into something liminal; a venn diagram centered between reality and imagination and, when good, blends them into a seamless space. 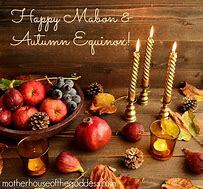 Agathos Daimon means “good spirit” and is a religious observance held on the second day of each lunar month, immediately following the Noumenia. It is the third celebration of a trio of household monthly observances. A good spirit usually refers to a type of divine being that is less powerful than a God, is personal to each family, and can bring the family good luck, protection, or some type of assistance. Household spirits are usually seen as either snakes or a s a young man with a horn of plenty in hand. I celebrate the Agathos Diamon by pouring a libation to the spirit and asking for his continued blessings on our family. If there is something in particular that our family wishes help with, I may give an additional offering to our family’s protective spirit. Although I know I can always approach the Gods directly, the Agathoi Diamones are seen to be helpful intermediaries between the Gods and man.